I am, dear reader, old enough to remember what the world was like BMP – Before Mobile Phone! I can even remember the days before we had a telephone in our house so, if you needed to make a call, you had to find a call box and make sure you had enough 2p pieces with you. Just for the record, I do not recall the world pre-decimalisation! Please don’t get me wrong. I am not anti-technology. I have a smart phone and a tablet. I like social media and enjoy being able to keep “in touch” with people. I am, however, aware that technology can overtake my life and become my focus rather than an aid to my living. It’s sometimes easier to spot the fault in others. I have seen the person who is so attached to their mobile that, they are oblivious to all around them. Whether it’s the person with a child in push chair, ignoring the child whilst the mobile is the focus as they chat to friend about what they watched on TV last night. The person who is so busy arranging to meet somebody, via their mobile whilst bumping into people around him. When it comes to people trying to drive and texting at the same time – don’t get me started (prepares to drag out soap box!). But, before I become self-righteous, and point out the specks of sawdust in their eyes, I need to look at the plank in my own. I am the true vine, and my Father is the vinegrower. As I read this passage it spoke to me afresh about the word “connection”. I think there is a need in all of us to be “connected”. In fact, I would go as far as to say human beings were made for connection, with each other and with God. As we get drawn into the virtual world, real connections do not happen. I no longer speak to those around me when it’s “easier” to send a quick text! 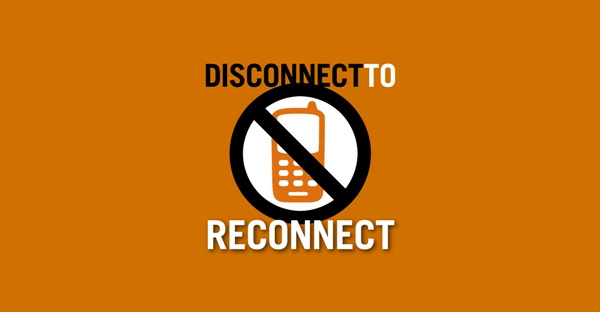 As we become disconnected from each other, I think we are in danger of disconnecting ourselves from God too. For the branch to produce grapes, it has to be connected to the vine. Jesus also speaks about the branches that wither and die, I see these as suffering the effects of disconnection. So, let me get a bit personal here, be honest, do feel connected or disconnected from God at this time? Wouldn’t it good to talk to God about why you answered as you did?